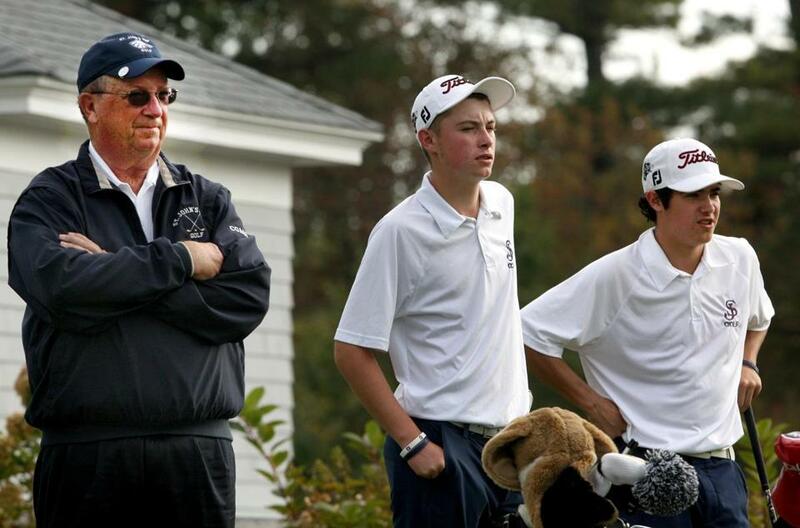 Larry O&apos;Neill (left) coached Mark Turner, Chris Francoeur, and the St. John’s Prep boys’ golf team to the Division 1 team title this fall, which was the eighth of his storied career. 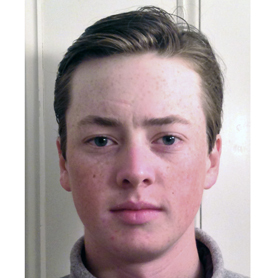 He shot a 1-over-par 73 at The Haven Country Club to win the Division 1 state championship. A senior captain, Ferrari finished third in Division 1 South (74) and was second in the Bay State Conference tournament (74). After leading the Eastern Athletic Conference with a 35.5 scoring average, Davis teamed with his brother Patrick to give Bishop Feehan the Division 2 state title. Davis also won the state individual title with a round of 70. Just a sophomore, Cummings followed a fourth-place finish in Division 3 North with a brilliant round of 2-under-par 69 to win the Division 3 state title. Led by Cummings, Weston won the team title as well. The senior finished the regular season 11-3-1, earning a Northeastern Conference All-Star nod. In the postseason he won the Division 2 North title, shooting a 71. He shot a 78 at the Division 2 state championship. Patrick teamed with his brother Davis to lead Bishop Feehan to the Division 2 state title. Patrick tied for seventh in Division 2 South (76) and shot a 73 at the state championship. His high school career record was 49-0-1. The Bay State Conference champion, Downing’s 72 took top honors in his junior year. He was also named the Redhawks’ MVP with a 35.4 scoring average. In the postseason he was second in Division 1 South with a 73. Francoeur won the Division 1 North title with a 1-under-par 69. A junior, he also was second at the Catholic Conference tournament. 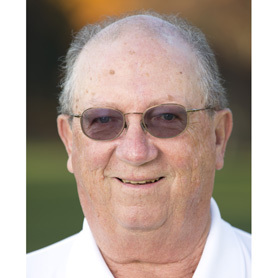 His low round was a 4-under 32 at Salem Country Club, which was highlighted by a hole-in-one. 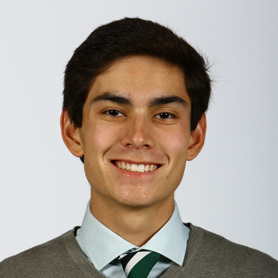 Hampoian led Austin Prep to an undefeated season. He won the Catholic Central tournament (73). 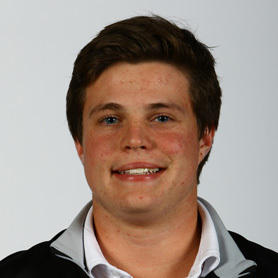 In the postseason he was third in Division 3 North (77) and tied for fourth at the Division 3 state tournament (75). North Andover had one of its best seasons thanks in part to Kelly’s efforts. The Scarlet Knights won the Division 2 North title with Kelly recording a 76 to finish tied for fourth. At the state meet he tied for ninth (78). Kingman earned his third Dual County League All-Star honor. In the postseason he was second in the Division 2 North tournament with a 72 and placed fifth at the state tournament (76). He’s also a DCL baseball All-Star. Now a two-time All-Scholastic, McInerney was team MVP and captain. He tied for fourth at the Catholic Conference tournament and shot a 74 at the Division 1 state tournament, one stroke off the day’s best total. 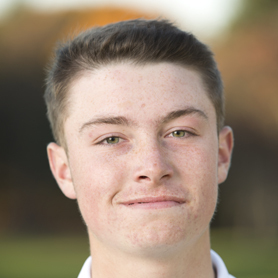 The South Shore League champion, McKelvey continued his excellent play in the postseason, earning co-medalist status at the Division 3 South tournament with a 74 and tying for seventh at the state championship. 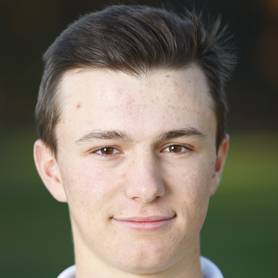 A Catholic Conference All-Star, O’Leary won the Division 2 South title (71). He tied for seventh at the state tournament (78). 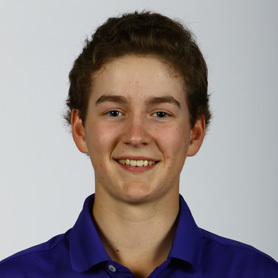 This past summer he was co-medalist at the Optimist International Junior championship. Simpkins was co-medalist in the Division 3 Cape and Islands sectional with a 76. He shot a 72 at the state tournament, good for second place. Simpkins is a two-time Eastern Athletic Conference All-Star. 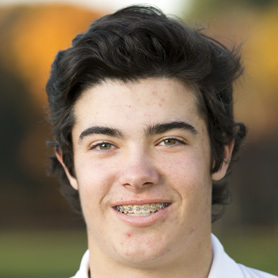 The four-year varsity golfer led Milton to the Bay State Conference title. In the postseason, he tied for third in Division 2 South with a 74 and was fourth with a round of 75 at the Division 2 state championship. Turner won the Catholic Conference tournament, was second in Division 1 North (2-under 70), and third at the state championship (75). A conference all-star all four years, Turner helped Prep win two state titles. 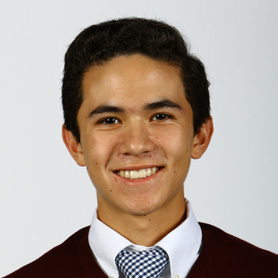 The younger brother of James, Mark was fourth in the Catholic Conference tournament, fourth in Division 1 North, and seventh in the Division 1 tournament, at which St. John’s Prep won the team title. What better way to retire after 27 years than with a Division 1 state title. 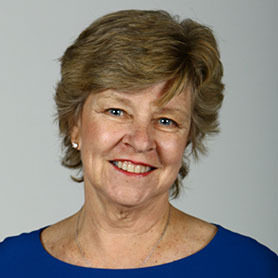 Under O’Neill, the Eagles won 22 Catholic Conference titles, 17 Division 1 North crowns, and eight state championships. His career record was 390-35-8. In his fifth year leading Bishop Feehan, Anderson guided the Shamrocks to the Division 2 South and state titles. They also finished the regular season as Eastern Athletic Conference champs at 11-0-1. His coaching record is 62-2-1. This is O’Brien’s third Coach of the Year honor. She led the Wildcats to their third straight state title. A Lynn English graduate, O’Brien concluded her 13th year of coaching with a career record of 144-45-7. 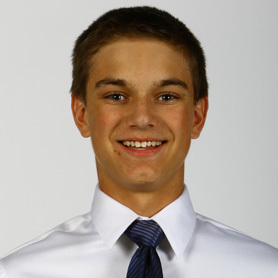 Bay State — Braintree: Erik MacDonald. Brookline: John Carr. Dedham: Ian Connell, Matt Maloney. 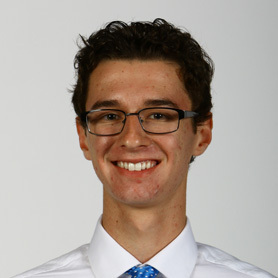 Framingham: Max Ferrari. Milton: Jared Carr, Walker Stroud. Natick: Ian Axford, Thomas Downing. Needham: Joseph Conry. Newton North: TJ Melendez. Walpole: Tim Bender. Weymouth: Chris Flipp. Big Three — Brockton: Daron Merian, Michael Moran, Korey Paull. Durfee: JP McDonald. New Bedford: Justin Bennett, Connor Roy. Cape & Islands — Sturgis East: Joey Colesano, Jared Joy, Emily Rodricks. Sturgis West: Samara Ghai, Nick Harold. 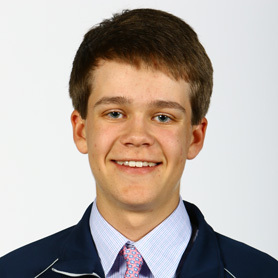 Cape Cod Academy: Ryan Longstaff. Nantucket: Ben Lombardi. Catholic Central — Archbishop Williams: Cullen Lyne, Danny Santiano, RJ Wetterberg, Max Zahka. Arlington Catholic: Justin Bleecher, Danny Lordan, Rob Valeri. Austin Prep: Drew Geraty, Nick Hampoian, Alex Maffeo, Megan Mahan, Frank Pagano, Mike Strazzere. Bishop Fenwick: Chris Russell, Steve Young. Cardinal Spellman: Austin Barkas, Derek Duarte, James Tyer. Lowell Catholic: James Bartlett, Chris Carter, Liam Gleason. Marian: Chris Sullivan. Matignon: Sean Mahan, Nick Morris, Mike Pariseau. St. Mary's: Tyler Devine, Kitchy Emmerich, Max Emmerich, Andrew Kreamer. Catholic Conference — BC High: Austin Coyne, Ed Merrigan, Brendan Ridge, Dan Whelan. 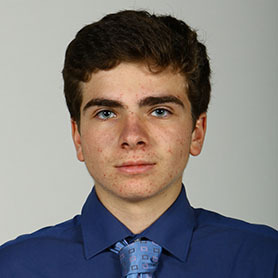 Catholic Memorial: Andrew Boyle, Andrew O’Leary. Malden Catholic: Brian Cannata, Tim Donnelly. St. John’s Prep: Griffin Chenard, Chris Francoeur, James Turner, Mark Turner. Xaverian: Jack Boulger, Davis Kelleher, Andrew McInerney. Dual County — Acton-Boxborough: Colin Grady, Jack Manning. Bedford: Connor Higgins, Nicholas Manning. Boston Latin: Khai Buttner, James Monday. Cambridge: Raf Goldstein, Bill Preytis. Concord-Carlisle: Skylar Frankiewicz, Jackson Kingman. Lincoln-Sudbury: Alex Martin, Ted McCluskey, Jack McKeon. Newton South: Jason Lange, Michael Pasqualini. Waltham: Marc DeJulio, Charlie LeClair. Wayland: Ben Slater, Cam Tredgett. Westford: Hunter DiLorenzo, Jack Koravos, Nick Kovalchik. Weston: Nick Cummings, Ryan Doorandish, Justin Efron, Henry Hall. Eastern Athletic — Bishop Feehan: Davis Chatfield, Patrick Chatfield, Jonathan Mitchell. Bishop Stang: Mia Rapoza. Coyle & Cassidy: Kyle Leitch, Brendan Murphy. Martha’s Vineyard: Chris Mayhew, Finn Simpkins. Somerset Berkley: A.J. 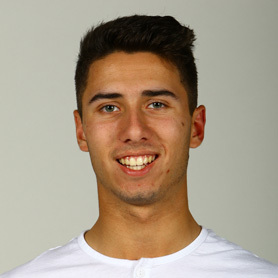 Guidotti, Jared Silva. Greater Boston — Everett: Bryan Bessler, Marc Faia, Jacob Locke. Malden: Nicholas Andreucci, Brian Batting, Liam Elliott. Medford: Thomas Connearney, Connor Fraser, Michael Keating. Somerville: John Foscarota, James Maerokanis, Corey McGlashing. Hockomock — Canton: Jack Goyetch, Danny Powers. Foxborough: Tim Luciano. 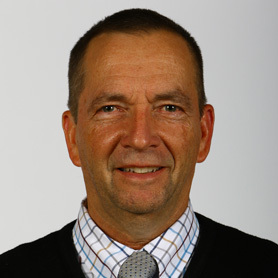 Franklin: Brian Woelfel. King Philip: Danny McLaughlin, Mickey Riley. Mansfield: David Craig, Jason Hindman. Milford: Ryan Tomaso. North Attleborough: Robbie Congdon. Oliver Ames: Jack Green, Brian Lambert, Ryan McGarry, Steven Tasho. Taunton: Ryan Oberg, Mario Wilson. Mayflower — Bishop Connolly: Nick Avilla, Cameron Swainamer. Blue Hills: Sean McDonagh, Nate Newman. Bristol-Plymouth: Colin Cain, Peter Costa. Diman: Connor Chase. Norfolk Aggie: Rob Jones. Old Colony: Jared Gammell. Sacred Heart: Colby Flanders, Ben Giglio, Colin Gillis. South Shore Voc-Tech: Tim Cashman. 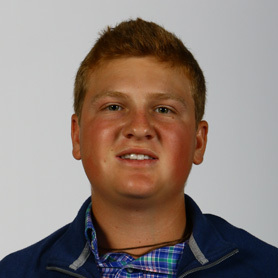 Southeastern: Jake Topham. Tri-County: Chris Boyd, Kyle Hobbs, Ray Wilschek. Upper Cape: Tyler Lino. West Bridgewater: Brad Nolan, Jack Roy. Westport: Evan Gendreau. 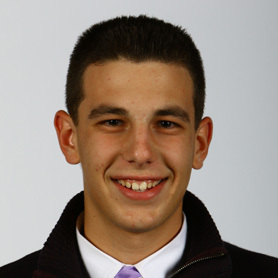 Merrimack Valley — Andover: Nate Abbott. Billerica: Brian Corbett, Brendan Maloney. Central Catholic: Ryan Ajamian, Alec Brunelle. Chelmsford: Tommy Connolly, Ryan Hart. Dracut: Reed Bourgeois. Haverhill: Sean Bellemore, Alec Steed, Jared Tucker. Lowell: Walter Zacharer. North Andover: Sam Caron, Jack Kelly, Jack McKay. Middlesex (Freedom) — Burlington: Josh Boulos, Joe Saia. Melrose: Michael Shea. Stoneham: Phil Conway, Cole DiGangi. Wakefield: david Melanson, Dylan Melanson. Watertown: Sean Peshier. Wilmington: Bill McEvoy. 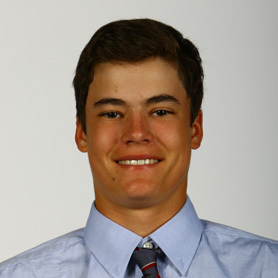 Middlesex (Liberty) — Arlington: Jeff Gorman, Elias Sachs. Belmont: Bob Malcolm, Michael Pergarmo. Lexington: Scott Douglas, Steve Hopley. Reading: Liam Dwyer, Brett Higgins. Winchester: Ollie Cordiero, Jack Fair. Woburn: Nick Jamieson, Austin Littell. Northeastern — Beverly: Ryan Anderson, Garrett Desmond. Danvers: Christian McKenna, Wes Milbury, Jared Mscisz, Mike Plansky. 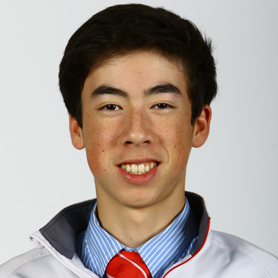 Marblehead: Owen Picariello. Peabody: Ted Izzo. Swampscott: Andrew Dove. Old Colony — Barnstable: Caleb Axelson, JR DiSarcina, Bobby Harrington. Bridgewater-Raynham: Connor Anderson, Ryan Houle, Ryan Koczela, Luke Myers, Jack Prue, Dylan Smith. Dartmouth: Cam Clark, Justin DeBortoli, Austin Giesta. Patriot — Duxbury: Johnny Antaya, Alex Jamieson, Brendan Kates, Hunter Smith. Hanover: Charlie Banks, Drew Cratty, Luke Smigliani. Hingham: Chris Boyd, Andrew Miller, Andrew Spaziana. Middleborough: Nik Enos. Pembroke: Ryan Gibbons, Sean L’Italien, Nolan Reardon. Plymouth North: Kyle Caraher. Plymouth South: Matt Tirrell. Quincy: Ben Regan. Scituate: Cole DeFreitas, Brendan Murphy, Mike Vegnani. Silver Lake: Dillon Brown. Whitman-Hanson: Cole Manning. South Shore — Abington: Jason Polito. Carver: Patrick Hurley. Cohasset: Luke Carlyle, Jack Fechter, Michael McKelvey. East Bridgewater: Mike Werra. Mashpee: Jake Curtin, Jacob Marques. Monomoy: Jacob Poitras, Matt Veary. Norwell: William Christian, Cam Labadie. Rockland: John Glennon. Tri-Valley — Dover-Sherborn: Paul Parrish. Holliston: Mike Annesse. Hopkinton: Jake Doherty, Geoff Holler, Matt Johnson. Medfield: Nolan Driscoll, Ted Hunt. Medway: Dan McNamara. Norton: Jared Winarz. Westwood: Dan Frodigh, Will Frodigh. 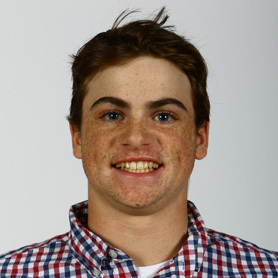 The All-Scholastic boys’ golf team was selected by the school sports staff. Selection is limited to MIAA schools that compete in EMass leagues. Text by Bob Holmes.